Finding you the best travel tips of the week from across the web! Each Friday I’m sharing the best travel tips posts I’ve come across during the week. If you’ve got a post to submit for next week, leave a comment in this week’s post, send me a tweet or leave a message on my Facebook page. Got a long flight coming up? Then you need to read this post first!! Here’s another great travel tips post from Wes at Eat Sleep Live Ecuador on how to survive a long flight. Did you know you have certain legal rights in the event of cancelled flights or other forms of transport? Have a look at this article on the Daily Mail about sites that outline and advocate travellers’ rights. Keryn from Walking On Travels just shared this fantastic post on which travel deals sites your should be subscribed to and what kind of deals each site is best for. You know I love a good deal! 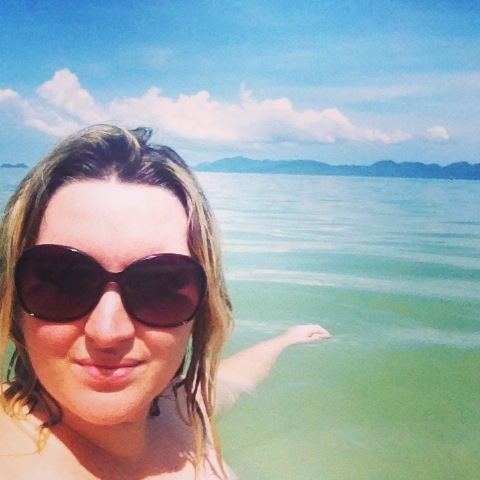 Bethaney, A traveller for over ten years, Bethaney started blogging in early 2012 over on FlashpackerFamily.com. She founded Go Click Travel to focus on sharing her passion for travel hacking, online bargain hunting and making smart travel choices. You can follow her on Twitter, Facebook & Google Plus. I’m off to check out Keryn’s post. Looks like an interesting one! I'm Bethaney - a travel addict who loves exploring every little corner of the world. I like to travel smart and get the most bang for my buck. Whether I'm flying on a budget airline or in business class, staying in a hostel or a five-star hotel... I won't be paying full price! Check out my about page if you want to know a little more. Go Click Travel is all about travelling smart and I'm here to help you plan the best trip possible. If you're looking for tips and tricks for smarter travel, like how to find the cheapest flights or save on car hire, start with my travel tips. page. If you're after tips about visiting a specific city, country or region, browse through my destination tips. If you still need help, send me a message on Facebook or Twitter. I love answering you travel questions! © Go Click Travel Blog is powered by WordPress & +62.